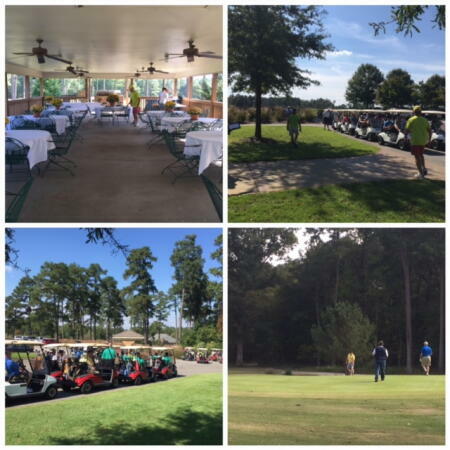 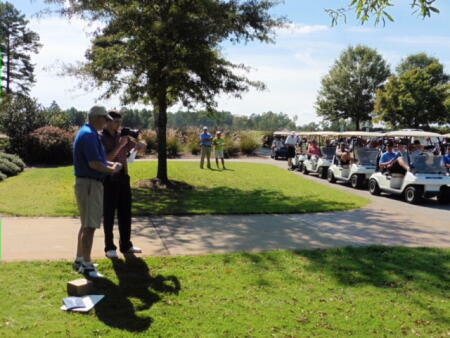 The Hoke County Community Foundation's 15th Annual Golf Tournament was a wonderful success. 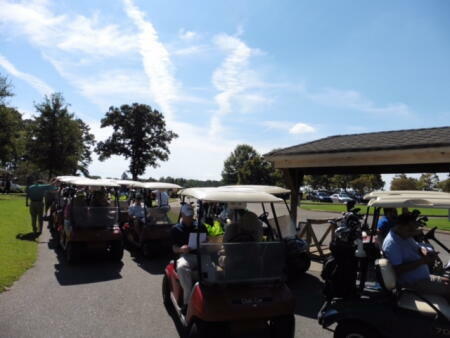 Held on October 9 in Raeford, approximately 60 golfers participated in the tournament supporting the Hoke County community grantmaking fund. 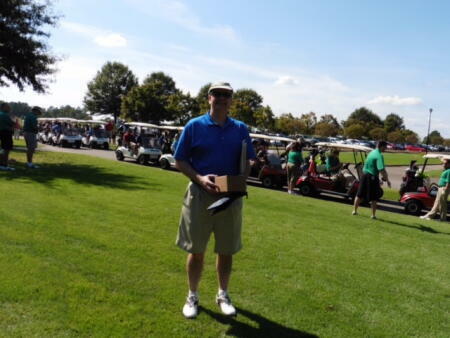 President John Jordan is shown addressing the golfers and thanking sponsors before the tournament.